The Archives’ state-fair film, through a magnifying loupe. North Carolina State Archives, Century Film Productions Collection. Whether or not the past is a foreign country, imagining the 1974 North Carolina State Fair is something few of us could manage. Nor would many of us do well conjuring how a candidate for Lieutenant Governor in North Carolina in 1964 would go about advertising himself to voters – or even guessing what a Lieutenant Governor is or does. 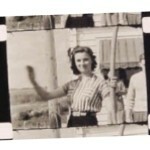 Thanks to a grant from the National Film Preservation Foundation, State Archives of North Carolina will ensure the longevity of films of those two far-away phenomena. Films depicting them turned up in a collection that Century Film Productions, a Raleigh-based company, donated to the Archives in 1986 when it ceased three decades of operation. 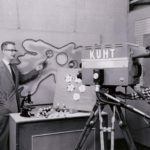 The Century Film collection has 204 film elements – completed films, production elements, and outtakes, all but two in 16mm format – that span from the late 1950s through the early 1980s. Most of the films relate to the campaigns of politicians who served as North Carolina governors and members of Congress, or were otherwise well-known. 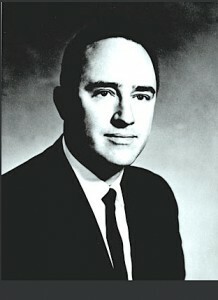 Those include short films and television spots for the campaigns of U.S. Representative Jim Gardner, future state governors Dan K. Moore and Robert W. Scott (the State Archives recently received additional related documents from the estate of the latter), and others. Also in the collection were sponsored films for government, corporate, and nonprofit agencies and organizations such as Occoneechee Council of the Boy Scouts of America, the North Carolina Department of Transportation, R.J. Reynolds the tobacco giant, and the North Carolina Police Information Network. Century also made and donated film of a North Carolina State University football game, and commercials for Mt. Olive Pickles and Record Bar. The collection that the owners of Century Film, O.B. (Ollie) and Lynne Garris, donated to the the North Carolina archives may initially seem disparate, but its makes a three-fold contribution to documenting mid-twentieth-century North Carolina state politics and social and economic history and culture, says Melissa Dollman, an experienced moving-image archivist who has been cataloging the Century Film collection. 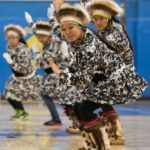 First, she says, the donor’s interest in giving their collection to the Archives “says a lot about its reputation as a well-respected archive and promoter of local history,” she suggests. “Two, a great majority of the filmmakers’ films are about subjects specific to North Carolina: its politicians, local events, local stores and restaurants, etc. 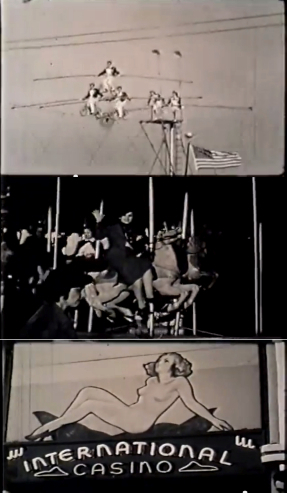 Thrills and spills from an earlier North Carolina State Fair, during the 1940s, from film taken by an amateur photographer. Click on image to see a 10-minute film on the NC State Archives’ YouTube channel. While she catalogued the collection, Dollman discovered that the material generally was in decent shape, but that two films — the ones for which she sought NFPF restoration funding — were not. Once repair is complete the two films will be copied into a digital format and made available online where the Archives already shares extensive holdings on a YouTube channel. Dollman says that while she and her colleagues are still trying to tease out “the connective tissue” among the Garrises and North Carolina’s politics and business worlds of the time. 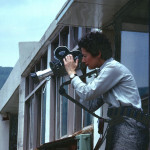 She says data relating to the films and the company reveal that the Garrises were “a real filmmaking duo, and a family business” in which Ollie Garris was the company’s cinematographer while Lynne Garris acted as director and much else including set designer, editor, sound technician, and production assistant. Evidence in the contents of the films provides a sense of their reputation and connections, she says. So does cross-referencing film credits and other aspects of the films with other historical information. 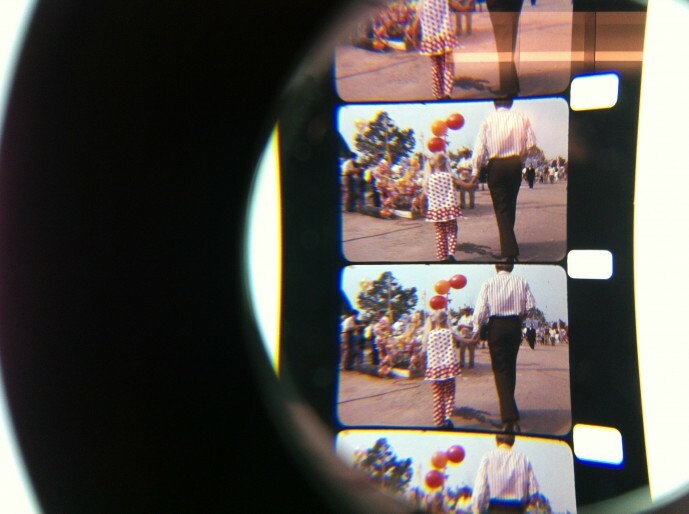 The state-fair film is “a sort of day-in-the-life of one family — two parents and a little girl — at the fair,” says Dollman. “They go on rides, see shows [which is where Bob Hope comes in], and the little girl gets to meet him.” The film, which at one point sketches a history of the fair, starts in the offices of the North Carolina Department of Agriculture, the fair’s sponsor. “All of the people, except the emcee who comes in for a bit after the opening scene, are non-actors and real people from North Carolina,” says Dollman. Referring to the company that is performing the technical work of restoration of the prints, she says: “It was a pleasant surprise when Colorlab told us it was the entire advert.” Scott was often on the hustings because not only was he the state’s governor from 1969 to 1973; originally a dairy farmer, he also won election in 1964 as the state’s Lieutenant Governor. At the end of his term as governor, he could not run again due to a state constitutional provision. But he went on to serve as co-chairman of the Appalachian Regional Commission and, from 1983 to 1995, as President of the North Carolina Community College System. He then tried his hand in the gubernatorial race of 1980, but did not win the Democratic primary. Archivists and historians in the state have a soft spot for Scott, who lived from 1929 to 2009, because he took steps to preserve state archives and historical artifacts while advocating greater awareness of the state’s history. His father’s farm, the Kerr Scott Farm, where Robert W. Scott was born, was added to the National Register of Historic Places in 1987. Also in the archives is film of remarkable events in North Carolina history such as the Pullen Hall fire at North Carolina State University in 1965, and the inauguration of James E. Holshouser, Jr., and, from the dark chapters of the state’s history, unedited footage of a Ku Klux Klan march from circa 1966.